British lawmakers want to see tighter controls on Russian 'dirty money' in London. 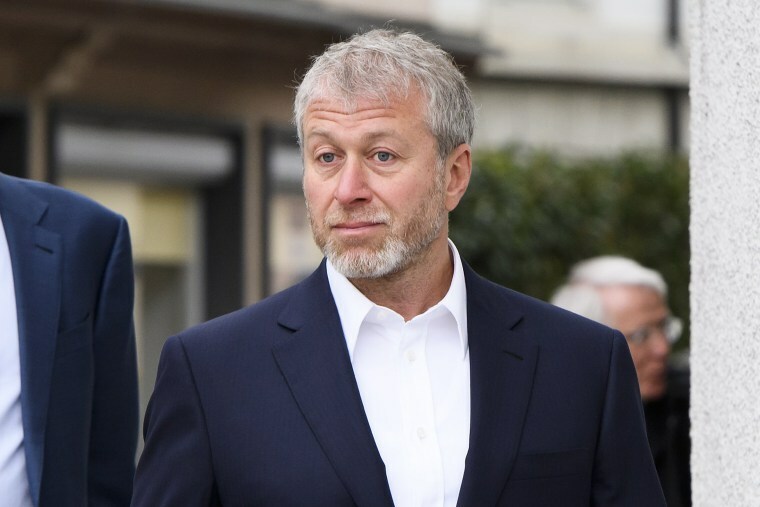 LONDON — The billionaire Russian owner of England’s Chelsea soccer club, named by the U.S. as a crony of Russian President Vladimir Putin, has not has his visa renewed by British authorities. Roman Abramovich missed his Premier League team’s 1-0 win over Manchester United in Saturday's FA Cup Final because he cannot enter the country, the Russian site The Bell reported. The move comes amid strained relations between Russia and Britain following the poisoning of former Russian double-agent Sergei Skripal in Britain in March, an act Britain has blamed on Russia but which the Kremlin denies any involvement in. Abramovich is in the process of renewing his visa after it expired last month, but it is taking longer than usual, Reuters and The Associated Press reported Monday, both citing sources close to the tycoon who spoke on the condition of anonymity because they were not authorized to speak to reporters. In January, the U.S. Treasury Department included him on a list of Russian tycoons and politicians who are close to the Russian president and could be the target of future sanctions. Abramovich is reportedly also a friend of President Donald Trump’s daughter Ivanka and her husband, Jared Kushner. Abramovich, who owns Russia’s largest steelmaker, Evraz, as well as luxury homes in London and France, made his fortune in the 1990s when former Soviet state assets were sold off to private investors. Forbes estimates his wealth at about $10.8 billion, making him the 140th richest person in the world. It came on the same day that a committee of British lawmakers said the government should show “stronger political leadership” over Russian “dirty money” flowing through the U.K.
“We are determined to drive dirty money and the money launderers out of the U.K.,” May’s spokesman said. Britain’s Home Office, which deals with immigration, declined to comment on the Abramovich case.